Everything industry insiders need to know this month at the movies, from newly announced awards to festival lineups, acquisitions and more. – EXCLUSIVE: Grasshopper Film has acquired the U.S. distribution rights to “Black Mother,” the critically-acclaimed documentary feature from heralded photographer and filmmaker Khalik Allah (“Field Niggas”). Grasshopper will open the film in theaters across the country in early 2019, followed by releases on the home video, digital, and non-theatrical markets. The film has screened at New Directors/New Films, AFI, and the True/False Film Festival, and it recently topped IndieWire’s own list of the 10 Best Undistributed Movies of 2018. – Tribeca Film Institute (TFI) and Pond5 today announced a partnership to launch a forward-thinking filmmaking fund and ongoing industry program aimed at promoting sustainable careers for independent storytellers. TFI worked closely with Pond5, the world’s largest stock video marketplace, to develop a program that speaks to the needs of filmmakers who lack resources during “in-between” phases such as research, creative collaboration, festival travel, content, community screenings, outside-the-box mentorship, and extra release support. TFI and Pond5 designed this unique program to ensure that filmmakers with diverse backgrounds and a wide range of perspectives are provided an array of support to improve visibility in an often-inaccessible, difficult-to-break-into industry. Support available through the program includes funding, targeted networking events, access to Pond5 content and mentorship programs, all designed to facilitate a sense of community for independent storytellers. The program is funded by tax-deductible donations, allowing anyone to pledge their support at pond5.com/tfi. Additionally, Pond5 is matching donations. TFI alumnae and Pond5 artists can apply for micro-grants through the program three times a year, offering multiple opportunities to receive funding. Applicants outline their needs during the application process so that the program can provide more targeted and flexible support. – The Australian Academy of Cinema and Television Arts (AACTA), has announced the nominees for the 8th AACTA International Awards. A total of 17 films have received nominations this year, with “A Star Is Born” leading the way with five nominations, followed closely by “Vice” with four. Nicole Kidman makes AACTA Awards history as the first actor to be nominated for AACTA International Awards in both Best Lead and Best Supporting Actor or Actress categories in the same year, for “Destroyer” and “Boy Erased.” You can see the full list of nominations right here. Winners of the 8th AACTA International Awards will be announced in Los Angeles on January 4. – Next year, the Gold Movie Awards will be held at the birthplace of British cinema, the Regent Street Cinema in London’s West End. The awards ceremony is now in its second year and will be held on January 10, 2019. Joining the jury this year will be Karen Bryson MBE, Kacey Ainsworth, Chizzy Akudolu, Kevin Guthrie, Elliot Cowan, Iain Glen, Simon Merrells, Victoria Yeates, Josh Herdman, Ben Lamb, Laura Main, Tamzin Merchant, Christina Cole, and Charlotte Ritchie. The Gold Movie Awards were created by Italian director Marco Recalchi, Irish actor and producer Jason Matthewson, and Antony Reolon in partnership with The Old Film Farm, ikon Films and Skyup Academy. The GMAs were created to showcase the best in upcoming and seasoned filmmakers alike, giving them a place to have their work screened and awarded in a professional setting. – The Sarasota Film Festival has announced the dates for its 2019 Festival, taking place April 5 – 14, 2019 in Sarasota, Florida. The annual event “emphasizes the best in cinema” alongside exciting programs and events, with more than 100 films screened each year including features, documentaries, shorts, and kid-friendly picks. -EXCLUSIVE: The Museum of Modern Art announces the 16th annual edition of To Save and Project, a festival dedicated to celebrating newly preserved and restored films from archives, studios, distributors, foundations, and independent filmmakers around the world. Running from January 4 to 31, 2019, this year’s festival includes more than 50 newly preserved features and shorts from Asia, Europe, Africa, Latin America, and the United States — virtually all of them North American or New York premieres — by filmmakers as diverse as Fernando de Fuentes, André de Toth, Safi Faye, Ha Gil-jong, F. W. Murnau, and Doris Wishman. Many of these films are receiving their first American screening since their original release; others will be shown in meticulously restored versions that recapture the long-lost sound and image quality of their initial release; and some will be publicly screened for the first time ever in New York. To Save and Project is organized by Joshua Siegel, Curator, Department of Film, The Museum of Modern Art. To Save and Project opens with a tribute to Barbet Schroeder through all of his documentaries, and other highlights include special guest appearances by Peggy Ahwesh, Wolf-Eckart Bühler, George Griffin, Barbara Hammer, Yvonne Rainer, and Arturo Ripstein. “The Great Victorian Moving Picture Show” — two illustrated lectures of astonishing large-format 68mm Mutoscope and Biograph shorts from the late 19th century — as well as an illustrated lecture on color innovations in British silent cinema will be on offer. Other screenings of note include Michael Anderson’s spy thriller “The Quiller Memorandum” (1966), written by Harold Pinter and starring Alec Guinness, George Segal, and Max von Sydow; an exceedingly rare screening of André de Toth’s “Crime Wave” (1954) in a pristine 35mm print struck from the original camera negative, together with two merciless (auto‑)portraits of the film’s leading actor, Sterling Hayden, made at the end of his life; and the North American premiere of MoMA’s own restoration of Ernst Lubitsch’s “Forbidden Paradise” (1924), in association with The Film Foundation. The festival concludes with the world premiere theatrical run, from January 25 – 31, of MoMA’s new restoration of Ida Lupino’s melodrama “Never Fear (The Young Lovers)” (1950). Find out more information right here. 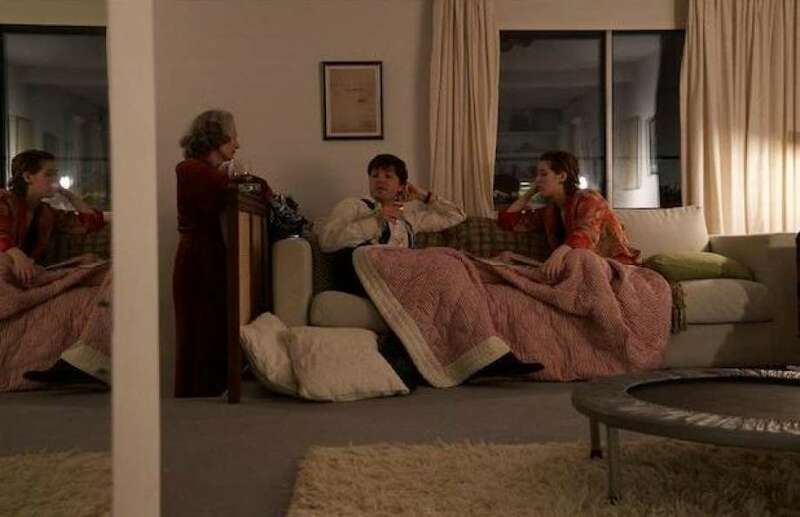 – A24 has acquired North American rights to “The Souvenir,” the latest feature film by celebrated British writer/director Joanna Hogg, from Protagonist Pictures and 30WEST. The film, which was announced last week as part of the Sundance line up, introduces Honor Swinton Byrne and also stars Tom Burke and co-stars Tilda Swinton. It will be released theatrically by A24 in 2019. – Laemmle Theaters owner-operator Greg Laemmle and Don Franken, co-founder of The Method Fest Independent Film Festival, the only film festival dedicated to showcasing the art of acting, have announced that the Festival would return in 2019 to its affiliation with Laemmle, this time in the heart of the entertainment industry with screenings set to take place at Laemmle’s Ahrya Fine Arts theater, 8556 Wilshire Boulevard in Beverly Hills. The Festival will run from March 22 – 28. “Everyone at The Method Fest Independent Film Festival is so energized for our return, especially excited by this agreement with Greg Laemmle and the family’s beautiful Ahrya Fine Arts cinema to serve as our main screening venue in Beverly Hills, in our audiences’ back yard and the nexus of the industry,” said Franken in an official statement.